Where & what is it? For a exhilarating road trip, the Snow Roads Scenic Route in Scotland doesn't disappoint. As well as a thrilling ride with a stunning backdrop, there are plenty of things worth a detour on the way. Where & what is the Snow Roads Scenic Route? 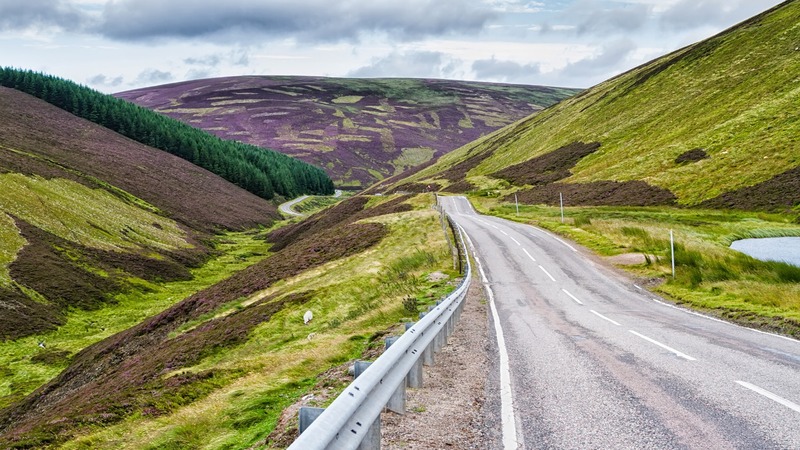 Traversing the highest public road in Britain, the Snow Roads Scenic Route is a 90-mile drive through the heart of the Cairngorms National Park in the Scottish Highlands. The hills are strewn with castles, off-grid whisky distilleries promise roadside detours and you’ll spot stags posing on heather. It’s no A to B journey. 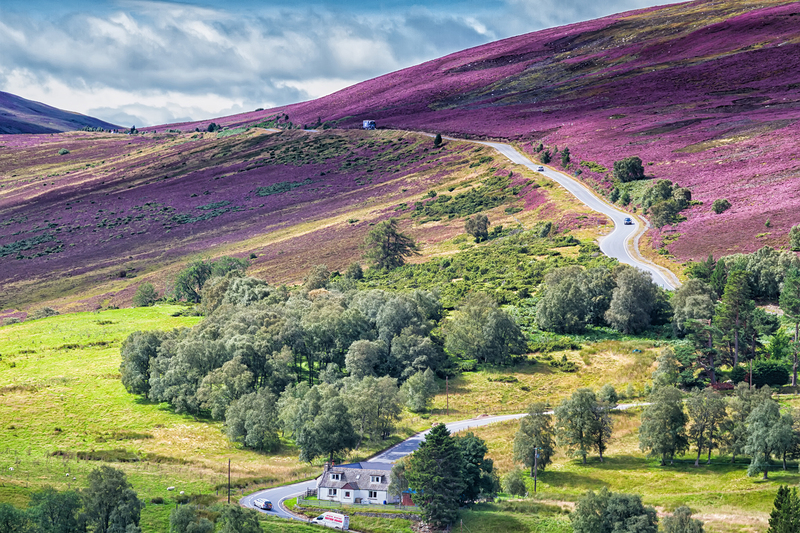 Starting 20 minutes north of Perth, it climbs the raspberry fields of Blairgowrie through mountainous Glenshee, plummets via the royal towns of Braemar and Ballater, and heads northwest to Grantown-on-Spey. Don’t rush the journey – take time to appreciate the stunning landscapes and the off-road attractions. As the A93 threads its way up and over the Cairnwell Pass – the highest main road in the UK – the road meets Glenshee Ski Centre at the summit. The resort is one of Scotland’s five ski centres, drawing in winter sports enthusiasts from Dundee and Aberdeen at weekends. On summer days, it’s hiker territory for those out to climb some of Scotland’s 3,000-foot hills. About 35 miles along the route, you’ll reach the Snow Roads' other ski centre, The Lecht. This delightful town is all grand mansions, pine forests and twee souvenir shops. Every September, its local Highland Games take place: the world-famous Braemar Gathering. Events include caber tossing, tug-o-war and highland dancing. It’s also a rather sophisticated, if slightly pompous affair. The festival has been attended by Her Majesty the Queen and a succession of royals since first being enjoyed by Queen Victoria in 1848. If you plan to attend, buy tickets in advance as the event always sells out. As Windsor is to England, so this town is to the Highlands. 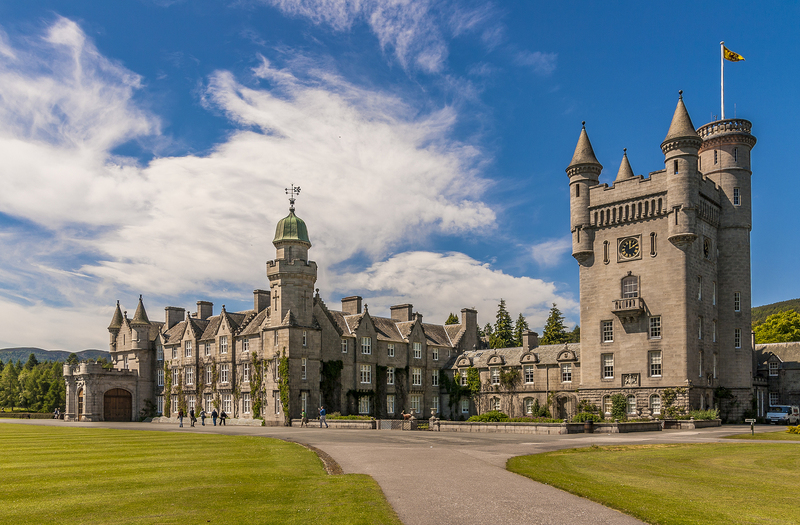 The royal connection comes from nearby Balmoral Castle, once a 16th-century tower house, now a sprawling summer residence for the Queen. For dedicated royalists, the estate’s trophy ballroom, stables and grounds are open to explore from April to July. With a tumultuous history that has seen it used as a Jacobite stronghold, military barracks and illicit distillery, turreted Corgarff Castle on the road to Tomintoul is the postcard-perfect Scottish keep. Isolated at the heart of Strathdon, it has a star-shaped perimeter and a number of exhibits that capture life as it once was in rural Aberdeenshire. On the northern tip of the Snow Roads are a number of little-known distilleries. Their lifeblood is the clear, fast-flowing water of the River Spey which plays a vital part in the Speyside whisky industry. Royal Lochnagar Distillery on the Abergeldie Estate, which was awarded a royal warrant in 1848, and Balmenach, which produces rowanberry-spiced Caorunn gin, are two worth a detour. On the B9008 to Tomintoul, you’ll see signposts for Glenlivet, the first licensed distillery in the Highlands. Further north, the official Malt Whisky Trail, a signposted 70-mile route north, takes in an additional eight distilleries. This grand country house, just up the road from the tranquil Angus Glen valleys, is set within 25 acres of land. 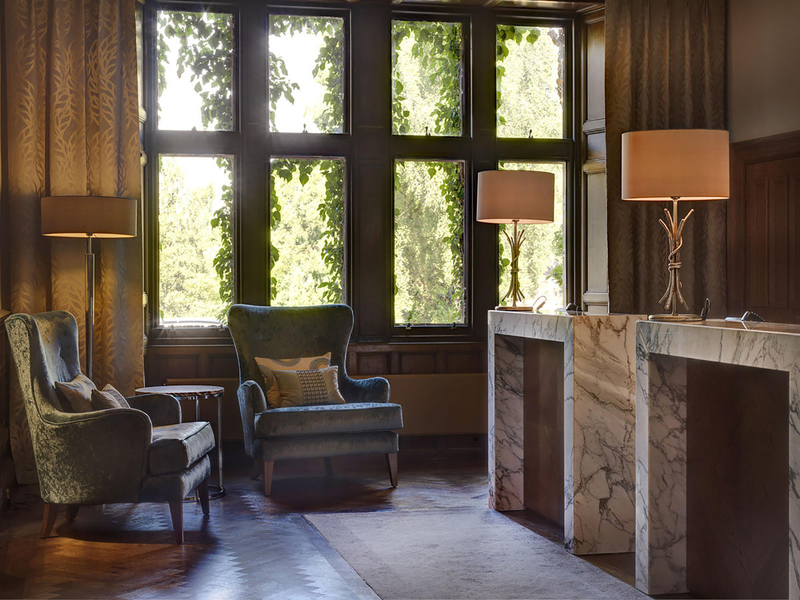 It also boasts an oak-panelled hall, portrait gallery and whisky bar. It’s a more pricey, luxury option so best if you feel like splashing out. This hostel-style adventure centre and self-catering lodge has a range of good-value doubles, twins and family rooms. There are plenty of opportunities to go skiing, biking, hiking and climbing. With more of an outdoors vibe than you’d expect from the Hilton chain, this hotel in the foothills of the Cairngorms organises salmon fishing, highland safaris, hiking, golf and winter sports. The highest hostel in the Scottish Highlands, this guesthouse on the northern fringes of the Cairngorms has a range of dorm beds and family rooms. It also offers whisky tours and tastings in the neighbouring glens. Once a shooting lodge, this B&B and self-catering cottage is deep in whisky country – the Glenlivet Distillery is just a short stroll away across the fields. This no-frills bistro offers Scottish favourites from cullen skink soup and smoked salmon to haggis and game pie made with local ale. Set up by Prince Charles, the Rothesay Rooms is a fine-dining restaurant created to help rejuvenate the village in the wake of floods in 2015. It serves a seasonal menu of game and fish. In 2018, the Prince will also open the Ballater Station Bistro and Tearoom, part of the Old Royal Station’s redevelopment after it was destroyed by fire in 2015. 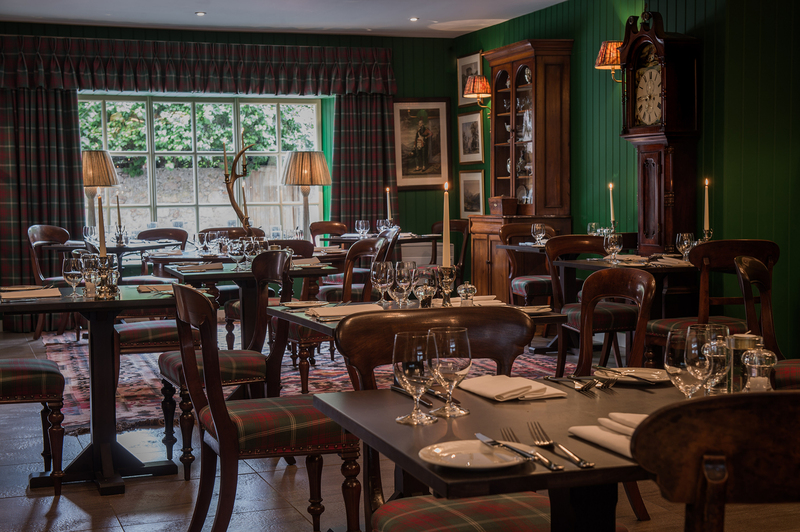 Built in 1860 as a shooting lodge, this hotel has a reputation for using excellent local produce, including estate venison, Grants of Speyside haggis, Inverawe salmon and meat from the 400-acre Balliefurth Farm, a cracking butchery located in nearby Nethy Bridge. This is rural Scotland at its wildest so expect single track roads, tight bends, passing places and plenty of obstinate animals dawdling on the road. Take it slow and you’ll almost always see more than you bargained for. At only 90 miles in length, it’s hardly necessary to rely on a sat nav screen. Mobile phone coverage can be patchy, too, so think maps not apps. If you need help with the navigating, take a tried-and-tested paper map like Ordnance Survey’s Northern Scotland. Use this handy map of the Cairngorms National Park and Snow Roads Scenic Route to plan your trip.